We have proudly served the Fairview, Girard and Erie areas since 1983. Just wanted to say thanks to all area/departments at Fairview Manor for taking care of my sister, Carol. This was home to Carol and even when she was out, she said she should be getting home. Carol liked all the people taking care of her and never complained and spoke well of everyone. Carol was happy with her care and that made me feel good. Thanks again. I am very pleased and impressed with the excellent care of my dear Mother at Fairview Manor. 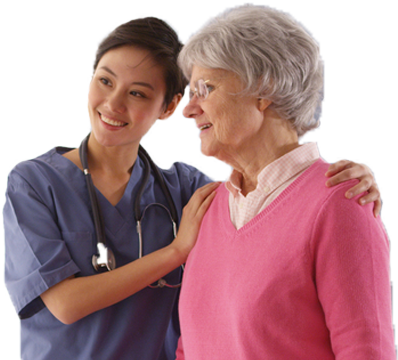 The staff is very diligent and caring and seem to take a personal interest in my Mother. They have made her comfortable and safe. The rules and regulations are well followed. I feel that my mother is not only taken care of in the best way, but also loved. Her therapy care giver actually tells me, “I love your Mother.” What a wonderful feeling to know that my mom is surrounded by truly caring people. Thanks everyone for the job you did for my father-in-law to return home. If it wasn’t for you, he wouldn’t be home. You’re the best! They did a lot of work and made this building beautiful, but what makes it special is the beautiful and caring staff.